If you’ve been noticing a gradual blurring of your vision, and your eye doctor confirmed you have cataracts, you might be feeling a bit overwhelmed. No one wants to have this progressive cloudiness, hardening, and yellowing of the normally transparent lens of the eye, as it can interfere with your daily life. Worse yet, you might’ve heard that cataracts are still one of the two leading causes of vision impairment (including blindness) around the world. But be reassured: there are many options for you with how to treat cataracts and if you do end up needing cataract surgery, it’s advanced a lot in recent years. Here’s what should come next after finding out you have cataracts. 1. Meet with your eye doctor. If you are experiencing symptoms you feel are related to cataracts first schedule an appointment with your regular eye doctor. During that appointment, you’ll discuss with your doctor how much the cataract is impacting your vision on a daily basis (if at all), how long it’s been doing so, the severity of cataracts you have and the surgical options available to you. If you choose to move forward with it, ask your eye doctor for a recommendation on the best place to get cataract surgery so you know you’re going to someone qualified and experienced. You also should check with your insurance provider to make sure that whomever you choose to go to will be covered by your insurance plan, so you’re paying as little out of pocket as possible. 2. Determine whether surgery is right for you. If you have a cataract that hasn’t been hampering your vision much, you might be perfectly fine avoiding surgery - at least for now. But if your cataracts are negatively impacting your daily life, surgery might be your best choice. 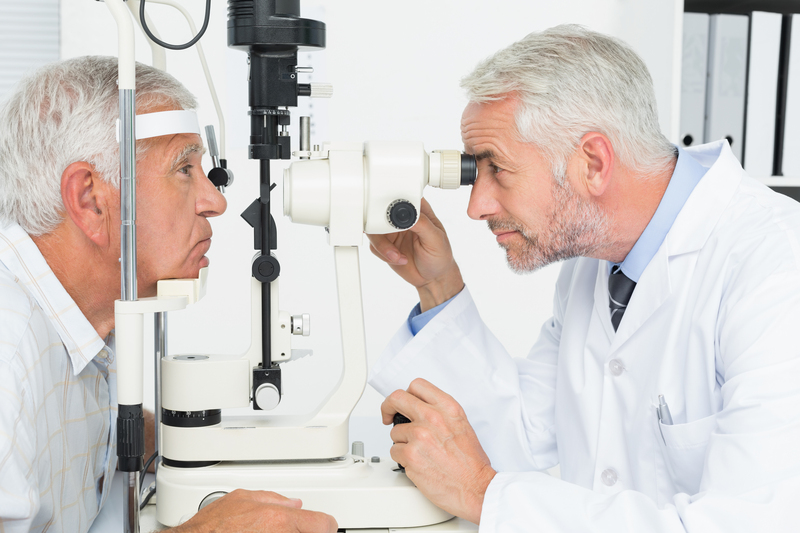 If you choose to move forward with Cataract Surgery, you will need to schedule a consultation with an Ophthalmologist. Under of the guidance of your Ophthalmologist you will discuss the best timeframe for you to get the surgery. This is the time to ask all the questions you might have, and make sure you understand your specific situation. Standard Single Vision lens - The goal of this lens is clearer vision. Expect to wear glasses full time with this option after surgery. Multi-focal/Extended Depth of Focus lens - This type of lens can give you both good distance, and mid-range vision after surgery. This lens also lessens the need for reading glasses. Precision single Vision lens - This type of lens can be used to give you precise distance or near vision depending on what range of vision is most important to you. You will still need to wear glasses some of the time. Once you’ve figured out the type of implantable lens you’ll be going with after your cataract removal, you need to schedule the surgery and make sure you’re set up for success. This means that you will have someone to drive you to and from the surgery, and help you take care of meals and errands for a few days after if possible. You should also plan to stick around town for three to four weeks post-operation, just in case any complications arise. Have any other questions? We’d love to help you navigate your cataract situation and get you best possible vision. Please contact us to schedule an appointment.